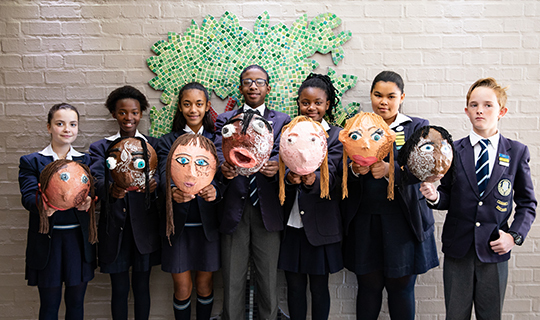 At Kirstenhof Primary, we instill a great love for art and creativity. We believe that in providing an environment where children are encouraged and motivated to extend their creative potential, they will thrive. All art activities are well prepared and well-structured. This helps children discover and develop a desire to express themselves creatively, while still having fun. Children are taught a wide range of techniques and are exposed to as many different art materials as possible. They always work in a safe, supervised environment and all art lessons are taught by qualified art teachers. The combined art activities planned each year are crafted to enrich children’s understanding of the subject and at the same time, feed their imagination. We have seen over the years that with a structured but creative environment, creative children blossom and even the most art-averse child grows, learns and enjoys their art experiences.